Attention, job seekers and the potential candidates who are about to pitch in their product to investors or interviewers. Do you need some help regarding how are you going to sell yourself off or sell your product to the investor so that they get a brief idea at the start regarding you or your product? Then here enters the business pitch. So what is a business pitch and how does it help you either in job seeking or getting funds for your business venture? Business pitch is something you either explain in person or even write based on the necessity. If you are on the outlook for investors then you usually present your business pitch to them and if you are a candidate looking out for a job you write a mail pitching in why you deserve this job. Elevator pitch is a business pitch wherein you get 30-60 seconds to explain your product to the investor. Or in case of writing, you need to explain about yourself and your skills in brief within 75-100 words. Now, the question arises, why this short duration? That is precisely why it is named so. It is the duration your elevator would generally take to go between floors. And your business summary should be so short and simple that the person in the front is able to grasp and understand what you are trying to sell and in addition to it, he should be convinced about your product and its capabilities. Escalator pitch is nothing but a pitch wherein you get a little more time duration than the elevator obviously as the name implies. But right now, what is trending is the elevator pitch. When you have hardly less than a minute to raise the perfect elevator pitch, the question arises as to how do you go about explaining your product to the investor in such a short span? And moreover how do you get him convinced about your product? That sounds pretty tough, isn’t it? Well, actually it is easy when you are fully prepared and you know some fine points which needs to be included in the pitch and a few points which is better omitted or avoided from the pitch. So then, what are the points and precautions to be taken while preparing for an elevator pitch? How do you go about explaining your investor quickly and neatly about your venture so that he gets a fair idea about your company? How do you make him more interested in your company? Remember that your elevator pitch shouldn’t abruptly end as the investor not being interested in your venture or him telling you to excuse him politely. That was not what you expected. So just pay attention to some details when you prepare a perfect elevator pitch. Research here in this context is two types. One is your research about your product details and the other is about the potential investors. First of all you need to be clear what the features of your product or venture are and how are you going to sell it off to investors. What are the points that can be included which will arouse the interest of the person across? What are the details that will make the investor more curious? The next step in your research would be from the investor angle. Why would the investor be interested in your product? What are the areas of interest where he has invested in before? How well will your product or venture be able to satisfy his business needs? Will he take the risk of investing in your product? So try to relate the investor’s point of view in your venture and prepare accordingly. When you start about with your elevator pitch, you start by giving a brief description of your venture or product. And that is very necessary. Now is the time to go in for some details. The details should be upto the point and remember to keep it short and simple. Detailing aspects that needs to be included are your product specifications and uses. How do you go about explaining the importance and uses of your product? We will deal with it next here. This implies that you should use your words cleverly. Now when explaining the product, don’t go about saying that the product has such and such uses. Instead try telling them that if the customer used this product then he would have such benefits. Take a simple basic example here. If you are out to sell a shampoo, then don’t pitch in as that the shampoo would remove dandruff. Instead tell them that the customer would have a clear dandruff-free scalp if this shampoo is used. This places the importance on the customer benefits of the shampoo rather than the features of the shampoo. Isn’t that a smart way of telling the investor why and how would a customer benefit than plainly speaking of your product feature alone? Yes, don’t move out of it. You are allotted time to specifically explain your product. So keep it at that. No unnecessary extra details which aren’t much useful are needed. Don’t say something which makes them feel that the product is not worth investing in. Give them quick ideas about how your product will be helpful and useful rather than just giving a boring speech which will make them lose their attention span. You are an expert in the technical field, and there is no bit of doubt about it. But it is not mandatory one being technical. He is just here to decide the quality of your product. So don’t throw in some tough technical terms wherein it becomes difficult for him to intercept your idea of the product. Just explain to him as you would to a layman. Never rattle off your elevator pitch like a monotonous boring speech. Throw in some quick short question or humor so that the grip on the product is not lost. This way you ensure that you keep the investor engaged in your pitch. You are done with the details of the product and how the customers would be benefited by the product or venture. But finally let them know about your future prospects regarding the product. By doing so, you are telling them that there is scope for further enhancements in the product and this is not the end. This will give them an opportunity to know that their investment in your product or venture is going to bear fruits even in the long run. And corrections or adjustments, if any, can be discussed and implemented. When you tend to think from an investor’s point of view, you know that numbers do matter to him. So tell him briefly how much investment you expect from them and how is it going to get them their returns. One brief sentence will do. Don’t go on spilling out numbers randomly. That is definitely their final task after they are convinced about the product. You can go on blah, blah about your product or venture. But do you have the required evidence for all what you have said? Be prepared with it. Your pitch should be credible and clear in matters of targets, revenues, customer benefits and future prospects. Don’t botch up with the calculations or don’t blurt out unexpected targets. That isn’t going to make your pitch convincing to the investor. Now that you know what an elevator pitch is, how do job seekers take advantage of it? How do the job seekers write an elevator pitch mail to the prospective employers or how do they speak in person with the interviewer? When in an interview the question would be simple and straight forward like “Why do we hire you?”, “Tell us something about you”, “Why do you need this job?” or “How can you be an asset to the company?” All these above queries narrow down to one thing in particular. How do you pitch in and present yourself as the best candidate among the lot and how do you prove your worth to the interviewers? Whether it is responding through a mail or personal interview, job seekers need to look at certain points to successfully present an elevator pitch. And job seekers need to be prepared every time regarding the pitch because you would get to meet persons at random who would want to know about your career in job fairs, while attending conferences, meetings or at some unexpected places like an elevator. And a perfect elevator pitch can land you a fine job. Keep your pitch simple and upto the point. If interested, the interviewer will surely go through the rest of the details later. Jot down your accomplishments and skills and give impetus to any unique skill you have mastered. 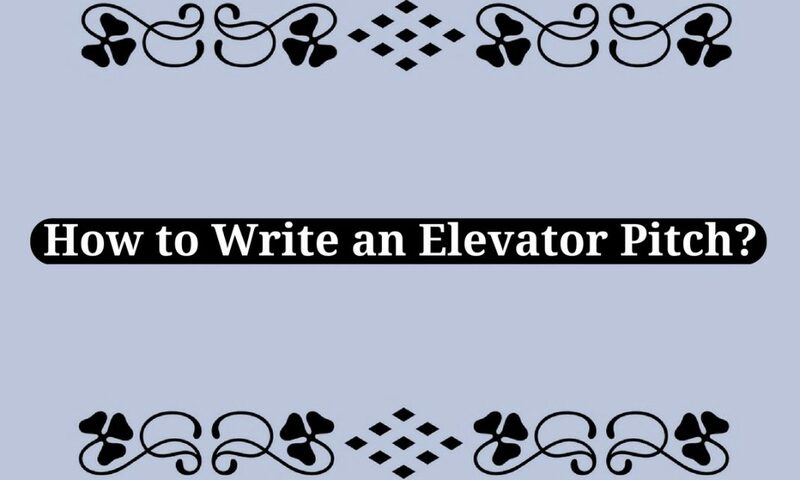 When writing the elevator pitch it is advisable to split it into points to grab the attention of the reader. When speaking keep the sentences short. Give a pause between each skill set and accomplishment. Include your future plans regarding your skills and goals about your career. Make them known of your ambitions. That is the way they come to know that you are keen on the job and you take your job seriously. Sound enthusiastic and full of energy. Keep the listener engrossed in your elevator pitch and make him curious to enquire more about you and your career. Sell yourself and don’t be too modest. Narrate previous experiences and projects you have handled. Always relate your previous experiences to the present scenarios where you are seeking a job. Practice your elevator pitch several times and make subtle positive changes in the copy every now and then. Whenever you pick up on a fine point do include it in your elevator pitch to make it more interesting. When you meet people unexpectedly make changes in your elevator pitch accordingly. Tweak your pitch impromptu to suit the expectation and the line of field of the interviewer. The elevator pitch should be in proper format. Your introduction should be first followed by what your previous job was. And the next part should include why you are suited for this job and how would your skills help the company. Include your future goals at the last and how the job would be beneficial to you. When applying for a job by mail, write the elevator pitch at first and include or attach whatever is required or important without fail at the end. Know that preparing an elevator pitch is not a herculean task. You commit mistakes and you learn from it. You may not be successful the first time even after all the preparations, but what is important is what you learn from it and how you rectify it. But do not allow yourself to be disappointed or feel low on confidence any time. Because at the end of the day what counts is what you have learnt and how well are you going to pick yourself up from where you have failed. So go and prove that you are unique and the company deserves you as much as you deserve it. Previous articleTop 28 Companies That Use Child Labor Still ! Next articlePurple Squirrels: How to Find and Recruit Them Easily?